Thoughtful post, Ben. Thanks for giving me something interesting to ponder. So much hate coming out in this election. Small point of information. Xenophobia is the fear of people from other nations. Not the fear of others in general. As far as those guys shooting arrows at the plane, are you sure they were taking a misguided action based on obsolete experiences? 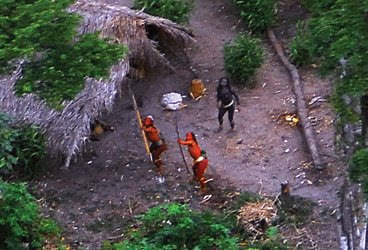 They are a tribal people who use arrows. They should think outsiders are dangerous. They might even be shooting the arrows just to be seen doing so, to put on a show for the outsiders who might want to go into their village, sell them pizza and Coke, and make them get jobs. I hope those arrows are sharp.